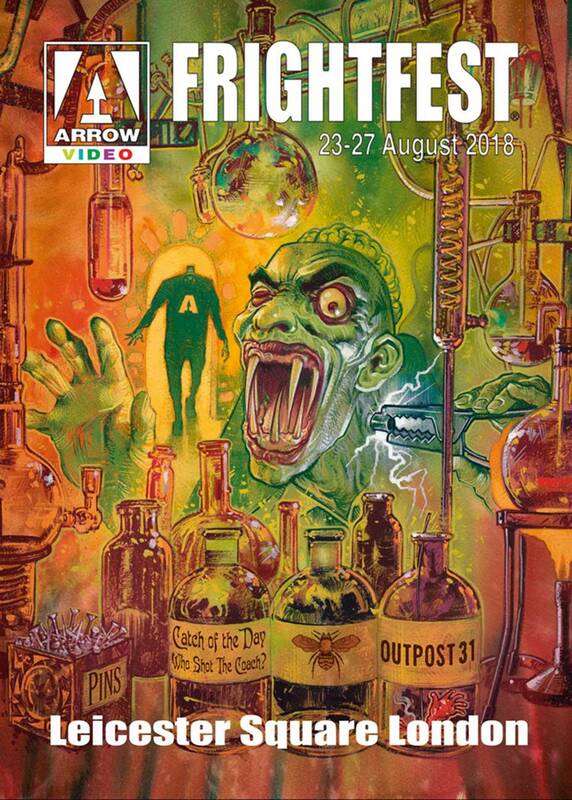 Arrow Video FrightFest 2018 Official Artwork Revealed! The UK’s premiere horror festival, FrightFest, has just unveiled the spectacular artwork for this summer’s event. Artist Graham Humphreys – whose work has adorned many a special edition from beloved labels including Arrow, Shout Factory and more – is again responsible for this year’s ghoulish poster, and it’s as fiendishly eye-catching as ever. Humphreys acknowledged that he took his inspiration for this year’s art from the fact that 2018 marks the 200th anniversary of Mary Shelley’s Frankenstein. Arrow Video FrightFest 2018 – you read that right, the awesome British label has taken over as title sponsor for the event – takes place in the heart of London’s West End, at the Cineworld Leicester Square and The Princes Charles Cinema from 23-27 August, championing the very best in genre cinema. ScreenAnarchy will have boots on the ground throughout the event, providing news and reviews of this always excellent Bank Holiday weekend. The full lineup for this year’s festival will be announced in the next couple of weeks. In the meantime, head to the official website for more info.